Most people look at the number 1,000,000 and all they see are the zeros. In their mind those zeros become a symbol of how likely they believe their chances are to get to this goal of becoming a millionaire. And that symbol is zero. Well, I’ve got news for you, it is not as hard as it may first appear if you get the right pieces in place and mix that with the right attitude, determination and hard work. Hopefully what you’ve read up until now has given you the insight to see that most of the false beliefs that most people cling to really will not help you with this goal. You’ve got to get rid of those negative ideas and start seeing this as a goal that is really possible. Current research on the self made millionaire is providing some very startling, but comforting news. There are currently more than 10 million millionaires in the world. 2.5 million of those have investible assets of between 5 and 10 million dollars. Research conducted by Dr. Jeffrey Rosenthal of the University of Toronto determined that there are more than 200,000 new millionaires created in North America annually. This translates to just over 547 new millionaires every day and more than 22 per hour of every day. The Harris-Decima research firm discovered that 94 percent of individuals with over $1 Million dollars in investible assets are self-made. Only 6% of these millionaires received their wealth through familial connections. As I have researched wealth and millionaires through out he last decade I have been overwhelmed at the number definitions there are as to what constitutes a millionaire. Some consider a person a millionaire based on their net worth, some based on their assets and others based on their cash flow. The definition I prefer has to do with cash flow. The reason I prefer this definition is that cash flow is ultimately the only thing that can change your quality of life and elevate your standard of living. Too often those that are millionaires on paper only are not able to enjoy the day to day benefits of their investments or assets. Of course, it looks secure and impressive on paper, but those assets do not contribute to their lives daily. Please understand I am not trying to suggest that these things are bad, I am simply saying my definition of millionaire is based on cash flow. Cash flow is what will allow you to dictate the level of your life experience. You can’t have a Millionaire Experience unless you have millionaire cash flow. Again, most people look at the number 1,000,000 and they are intimidated by all of those zeros. They think this translates into zero chance of being able to accomplish the goal of becoming a millionaire. While much of my wealth comes in larger quantities it has also been very helpful for me to consider what it takes to create a millionaire experience in smaller increments. When these number are broken down into these more management sizes your mind can begin to explore several ways to meet these goals. There are many people that make $114 an hour. Many of them haven’t necessarily found a way to do that twenty four hours a day. But why couldn’t you. It is very possible. Not only do I share these number to establish these as goals for you, they are intended to also help you recognize what your time is really worth. As I mentioned before, much of my wealth is not generated in the minute by minute deals, but some of it is. The more I recognize the importance of creating regular, reoccurring cash flow the more I am drawn back to these numbers. They are a brilliant starting point for you to measure where you are at and what you need to do to get on the path to creating your million. Now that you know what it takes from a financial point of view, what does it take to get there? While there are many paths to create a millionaire income level statistics demonstrate that 86% of all self made millionaires arrive at that destination through the entrepreneurial route. In other words, owning, operating and growing your own business is the most likely way you will get to your goal of over a million dollars annually. Directly behind entrepreneur is investor at 14%. Becoming an entrepreneur may seem daunting to some. However, to become an entrepreneur has many many sub possibilities. This can include everything from running a business, to inventing and licensing an idea, to innovating an existing one. It has been estimated that only 3.9% of all entrepreneurs ever reach profit levels of over $1,000,000 annually. The rest remain at an income level of less than $200,000 a year and under. Becoming a successful entrepreneur does not require you to do all the work or have all the ideas. In fact, quite the opposite is true. The most successful entrepreneurs find ways to leverage the talents and abilities of those around them. A fairly common misconception that is prevalent in today’s business teaching is that in order for an entrepreneur means to fly solo and do everything yourself. We often hear thoughts to support this idea like a successful person steps out of their comfort zone to become competent in many different areas. While I advocate stepping out of your comfort zone in some areas of your life, doing it in business can be suicide. When I conducted my research on the world’s 400 top achievers I discovered that they live their business lives by an opposite set of rules. Instead of looking to expand outside of their comfort zones top achievers seek to get into their Brilliance Zone.TM This is a very focused area of what they are extremely good at and inspired by. Indeed it is the area of their business where they are brilliant. In fact, anything that is uncomfortable top achievers generally delegate away to others who are better at it. If you focus on getting better at what you are already brilliant at you will reach a significant level of expertise. When you can marry that expertise to others who can help you with a system to generate cash flow you will be successful. This is how the most financially successful entrepreneurs pass by the mediocre ones very quickly. So what are your chances of becoming rich? A. Unthinkable, it’s not an option. D.Unfortunately, its part of the game. You must go through losing to win. Answers and explanations: For question 1 the best answer is A – Losing is a state of resignation. It is a commitment that have done everything you can and it was not enough. Self-made millionaires do not look at problems in that way. Instead, they look on problems as puzzles and will not quit until they have found solutions to the puzzles they are facing. Many people who have taken this test select D. However studies have shown that when you expect failure or loss to be a necessary component of success you experience more of it. Aiming to win with no option to fail is the best formula for your fortune. When you start a new project or task, what part do you like best? Answers and explanations: For question 2 the best answer is C – The only time you are making money successfully is when you complete a task. The biggest challenge that most unsuccessful entrepreneurs face is something called inaptitudinal reasoning. This is simply a fancy name for split focus. Too often entrepreneurs shift gears when they get excited about a new idea. They then place all their energies into the new idea while their original course remains unfinished. 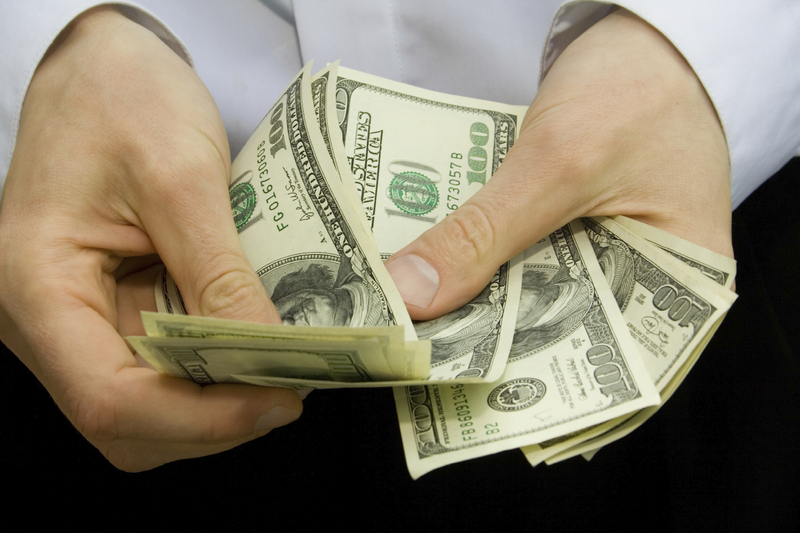 In order to create ongoing cash flow you need to complete what you start. You only get paid on a finished job. 3.What do you do when you have a big decision to make? A. Gather all the information possible. C. I consult my friends, family and colleges. Get advice from professionals and consultants. Answers and explanations: For question 3 the best answer is B. Your best answers need to be quick and instinctual. As you gain more experience in making quick decisions your decisions will become better. Some people answer that D is the best option, but often professionals and consultants make their decisions from positions of fear. (Perhaps, that is one reason why they tell entrepreneurs what do to and provide them services rather than become entrepreneurs themselves.) As a side note, I was involved in a study once that researched where our biggest regrets come from. The answer: not following our gut instincts. Think about it. What are the things that bother you most from your past? I would be willing to bet it has something to do with a time when you knew in your gut what you should do and chose to do the opposite. Answers and explanations: For question 4 the best answer is D. Having a secure support network can give you the confidence to courage required to pursue wealth. It is not an easy road and taking it alone can be dangerous. In Think and Grow Rich, Napoleon Hill points out that generally speaking men reach their most successful times after the age of 40. He speculates that this has a lot to do with finding stability in life with a supportive partner. Having a supportive partner of my own I can testify that her support makes a big difference for me. 5.Think of how much you make in a year. What would you put more effort into: Not loosing a similar amount or getting the equivalent to three times that amount and risk losing everything? Answers and explanations: For question 5 the best answer is B. It is important to clarify the word risk with this question. I am not talking about throwing a set of dice, or taking a chance on the roulette wheel. That isn’t risk. The risk I am referring to is based on evaluation. The word evaluate means to place a value judgement on a specific matter. Before we participate in any opportunity we need to use our best judgement to evaluate the level of risk. Successful entrepreneurs do not proceed unless they are confident that the value significantly outweigh the risks. Just a note on the other answer – ‘Not losing the money.’ To focus on not losing what you already have excludes you from the possibility of gaining more. The old Indian proverb says it best: The hand that holds to tightly onto yesterday, cannot accept the gifts of tomorrow. Answers and explanations: For question 6 the best answer is A. A valuable employee and CEOs of companies both have caps on what they can potentially earn. In the case of the CEO the shareholders of the company have much to do with deciding the salaries they will allow to be paid to the company leadership. There may be many famous people that make decent money, but for the most part the majority are broke. Most often while the famous person is a hot topic, most of them fail to structure their finances for the day when their fame with no longer carry them. Statistic confirm that 84% of all self made millionaires arrived there by becoming a business person. You are peacefully walking down the street, and suddenly, a flowerpot falls on your foot. Ouch! What is your reaction after saying #@#%$^*&! and recovering from the intense pain? A.That is bad luck. Why me? How lucky! It’s a miracle it didn’t land on my head. Answers and explanations: For question 7 the best answer is B. Wealthy individuals are optimistic. This does not mean that they are so positive to the extent of being blinded to real challenges and difficulties. they simply look at making the best at everything that comes their way rather than left a negative situation paralyze them. in other words they don’t stand still in moments of adversity to create a pity party, they move through as quickly as possible to the next positive situation. Positive situations always follow any negative occurrence. 8.You have been fired. What do you do with the severance money? A.Save it until you get a job. B.Use it for a relaxing vacation to sort out your next plan. C.Invest in a personal project. D. Invest in stocks to increase it. Answers and explanations: For question 5 the best answer is C. Your personal project is the event above that you have control over. You can make it successful and the outcome can be highly financially beneficial. Investing in stocks also might be a good idea if you really know what you are doing. but for most people that is not the case. Saving to get into another job is doesn’t really change your situation much considering it was a job you were just fired from. It is very possible you could be fired again. You are aren’t really creating any progress. And to use it to take a vacation make be a needed break, but you have done nothing to increase further cash flow. When the vacation ends… what then? 9.What can you say about your academic record? B.Normal. I finish my studies. C.Mediocre. I tried but I couldn’t. D.I left so I could build a business. Answers and explanations: For question 5 the best answer is C or D A is the most uncommon among millionaires. Not only do people who are highly educated spend more time in school, they also spend less time making money in the real world. They also begin to adopt the thinking and habits of those that they surround themselves with. (ie. Student with high student loans and professors that are often making a meager teaching salary.) Many top business leaders and those who are wealthy left school to start a business or dedicate more time to a business they started while in school. Bill Gates and Mark Zuckerberg are two excellent examples. While in school Fred Smith, founder of Federal Express was granted a C- on the business plan for FedEx. He has since gone on to take that company to be the world’s leading shipment service. Academia is not a great place to get support to grow billion dollar ideas. You planned a picnic to spend the day with family and friends. The day arrives, morning rises and it is pouring rain. What do you do? Ask for input from everyone on what they want to do instead. Answers and explanations: For question 10 the best answer is A. If you have every tried to ask everyone what they wanted to do instead you know that you just can’t get anywhere with that. Wealthy and successful business leaders understand that you must take a leadership role and in order to succeed you must set the course. Success is never found in trying to adopt the opinions of others. I like what Bill Cosby once said, “I don’t know what the key to success is, but the key to failure is to try and please everyone.” If you chose to stick to the plan and still have the picnic in the rain you are also way off. In order to grow your wealth you have got to be able to avoid disasters when you see them coming. You must be aware and have the ability to adapt when necessary. If you planned to go down a road in your car and there was a semi-truck coming directly at you, would you continue your course towards the accident just because that’s the course you had originally set out to take? Of course, not. You would readjust to either take a different route or wait until the truck was out of the way. Be smart. Rescheduling isn’t always necessary either. too often when things are rescheduled and put off they never get accomplished. The best answer is to find a new inside activity. If there is one thing I have learned from my research of the world’s top achievers it is this: “Top achievers are not perfectionists. They are improvisors!” They wonder less about why something didn’t work and spend more time figuring out how to make it work. 11. If there was a Million Dollars Cash for YOU on the other side of a field of explosive land mines, What would you do? B.Make a run for it and hope for the best. C. Go slow and steady. D. Follow someone who knows the safest route. Answers and explanations: For question 5 the best answer is D. Staying put as suggested in answer A is what most people do. They stay exactly where they are and as a result they think nothing will change. What they fail to realize is that the world around them is constantly changing. Even if they stay put they are automatically falling behind. You have to be moving forward even to keep up. The second idea of making a run for it and hope for the best may get quick results but in the long term it does not create lasting success. Without a system to create lasting success there will be no lasting wealth. Slow and steady will yield some results, but it never creates opportunities for high levels of growth. The journey in this way takes too long and does not provide enough off a pay off. Obviously the final option D is the best. A mentor or a guide can make all the difference in the world. I am a strong believer in the power of mentors. It is the number one reason I have been able to grow my wealth as quickly and exponentially as I have. Mentors save time, help you avoid costly mistakes, and give you the best of time tested and proven skills. And most of all Mentoring helps you to recognize your greatest strengths that you may never see by looking in the mirror. The role of a mentor is similar to a guide on an ascent up Mount Everest. On each Everest expedition the guides were able to keep the climbers safe. The guides understood the terrain and the climate. They recognized and knew how to avoid the dangers of the trek. These guides also understood how to balance supply rations and be economical with the gear that was brought on the climb. The guides also mapped out the route the climbers would take to the summit. The experience that the guides had often meant the difference between life and death. A lack of a mentor or a guide is most likely the number one reason people fail to become rich. If you don’t have a mentor to teach you how to become rich, whose wisdom are you relying on? Those stuck in situations of poverty are most often relying on lessons their parents may have taught them. Most of the time those lessons are not adequate to grow your wealth exponentially. Statistics demonstrate that the average income for most North Americans is $51,951 annually. That’s okay if you want to have an average life experience. But if you want to step up to an extraordinary life experience, what I call – The Millionaire Experience, then you need someone to teach you how to do things that are beyond average. Your results are in direct relation to what you know and the opportunities that you can take advantage of. The right mentor can help you with both of these things. Better than a thousand days of study is one day with a great teacher. What you should look for in a mentor? There are lots of great mentors available. But like everything in life, some mentors are better than others. It does no good to ask for directions from someone who is lost themselves. There may be lots of coaches out there, but if they cannot help you grow in these ways your wealth will not grow. It’s as simple as that. I have spoken about the important of education, opportunity to implement and about the power of effective mentors. I would a disservice to you if I didn’t share information about how you can gain access to all three of these tools to grow your wealth. I’d like to tell you about our Monthly Millionaire Mentor program. Monthly, because I believe that in order for change to take place and old habits to be replaced a person needs to have a relationship with their mentor. I also believe that when it comes to growing wealth and learning the strategies of growing wealth you can eliminate a lot of the risk by keeping regular contact. Here is a description of the support you get in our Monthly Millionaire Program. These educational materials are constructed to specifically change your thinking about money. To get you to think about money and use it in the way that millionaires and billionaires do. (And I can say that because we have several millionaires and billionaires as part of our faculty.) This training will teach you about the systems and vehicles that are currently available in the market place and share what you should look for to stay profitable and eliminate risk in any economy. Live events will always be a part of our programs. The live events are great forums to learn, ask questions, network, build relationships and meet many of the people behind our investments. These training events are exclusive and unless you are a member you cannot come. The following training opportunities are available regularly in many different cities around the world. As part of our program you are entitled to discounts on all of these programs. Our programs consistently grow wealth for hundreds of people around the globe monthly. Our success Rate and Guarantee! We have been very fortunate to have experienced a high level of success. Because of our ability to grow wealth and fund very important projects quickly we have access to some of the most high return and low risk investments in the world. If you are accepted to be part of our Monthly Millionaire Mentor program we can guarantee positive financial results. The exact results will have a lot to do with you. You really are the one who gets to decide how successful you will be and how quickly you can begin to live a Millionaire Experience. We pride ourselves on our high success rate. It is for this reason that we do not admit anyone to our group. We have a select criteria that we require of our members. For those who are serious about growing their wealth chances are fairly good that you can be admitted. But that can only be determined after you and I chat personally. If you would like more information on admission requirements and scheduling an interview please contact our offices. So what will you do next? It is what you choose to do next that will make all the difference for your future. There is an ancient chinese saying that I believe articulates this best. If you would know your past, Look at your current situation. If you would know you future look at your current actions. It is only the actions which you decide to take now that will have an effect on your future. Wishing, dreaming and planning alone will not get you there. What will you do next? What do 84% of all self-made millionaires have in common? 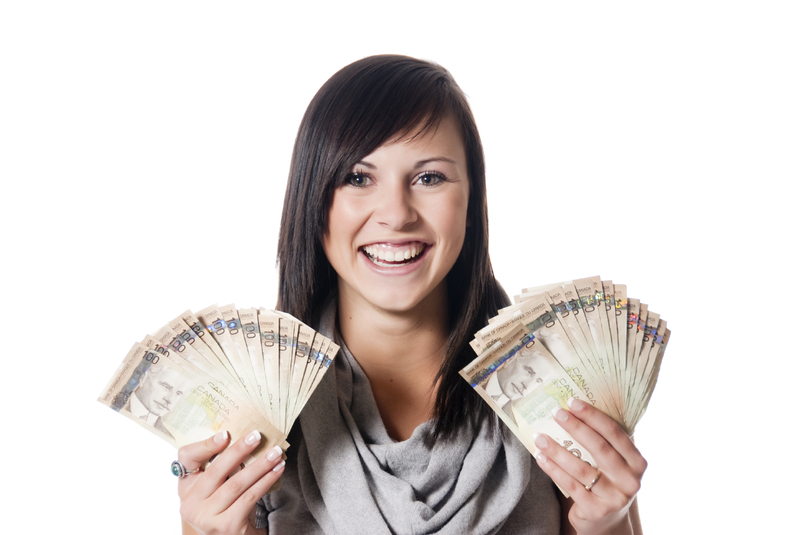 Many people in the world would like to become millionaires. Becoming a millionaire comes with privileges and financial freedom that people who live paycheck to paycheck will never realize. A millionaire lifestyle comes with greater opportunities and increased freedoms. Millionaires experience less stress and increased opportunities to creatively explore their full potential. Most millionaires today are self-made and according to current research are made quick quickly. The average self-made millionaire today accomplishes this task in less than five years. Each year there are more than 200,000 thousand added to the ranks of the millionaires. Which translates into 547 per day and 22.8 per hour. There has never been a better time or an easier time to become a millionaire than now! Most self-made millionaires today live in North America. 84% of them have one thing in common. That one thing is that they are entrepreneurs. (The other 16% of self-made millionaires typically come through investing, including real estate.) These entrepreneurs can be divided into several sub categories. For this article I will focus on three. Inventor – Inventors recognize a need for a solution to a specific need in the marketplace. They then devise a way to provide that solution. Often inventors partner with manufacturers and distributors to take the new invention to market. Inventions don’t always to be unique and incredible to be successful. In fact, generally inventions that are not highly simple don’t make it. Inventions aren’t limited to products, inventions can also include services or systems. Generally speaking, the bigger the problem the invention solves for the most amount of people, the more successful it will be. What could you invent that would solve a problem in todays marketplace? Innovator – Innovators take an existing idea, service, product or business model and innovate it into something more effective. Typically the best innovations make something easier to use, save time or take up less space. Innovators are always on the prowl to determine how they can take something and make it better.The majority of Thomas Edison’s patents (and things which we was credited for inventing) were actually innovations on existing ideas that were either already in the marketplace or that had been presented in a more clumsy form by other inventors. Innovation is generally most successful when the subject being innovated is something that large groups of people need or would use. What existing idea, service or opportunity in the marketplace today could you innovate to become highly success? Goods and service provider – Goods and service providers generally do not invent or innovate at all. they simply out perform their competitors. A great example would be Walmart founder Sam Walton. He simply found a better way of delivering products at a better price. The products weren’t essentially different from other department stores. The difference was in his ability to deliver them at a discounted rate by acquiring them in greater bulk. You’ve probably caught a little bit of a theme by now that you need to have a significant audience to support your entrepreneurial idea. In order for your goods or services venture to be successful you need to have something where a large enough support audience exists. What goods or service could you bring to market that a significantly sized audience would support? How could you bring it to them in a way which is better or more convenient? 84% of all self-made millionaires are entrepreneurs. Once they understand what they will deliver to their target audience they then develop systems to make marketing, sale and delivery possible and easy. Our organization Millionaire Training Systems shares expertise from many self-made millionaires who have done this before. Mentors like ours can help you analyze and strengthen your ideas, and then help you take them to market in the best ways possible. The Millionaire Training Systems program is the only millionaire training that conducts ongoing research into the construction of millionaires in todays marketplace. We also provide exclusive support from real millionaires and billionaires to help you with implementation of winning strategies that get real results. Do you want to learn what it takes to become a millionaire? Do you want to learn techniques to accelerate your wealth growth in todays economy? Do you want to discover tools that anyone can apply to create a fortune? If you answered yes to any of these questions you need to be in Edmonton May 26, 2011. 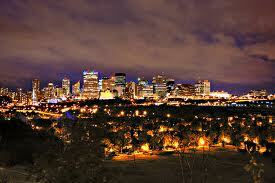 For one day only in Edmonton, Douglas Vermeeren will be presenting more about The Monthly Millionaire Mentor program. At this event he will be sharing the 7 Reasons why you are not rich and what you can do about it. A limited number of free tickets will be given away through the Monthly Millionaire Mentor program. If you are interested in qualifying for a free ticket for a free ticket please contact Rachel@douglasvermeeren.com and she will send you details of what you can do to get one of these tickets. 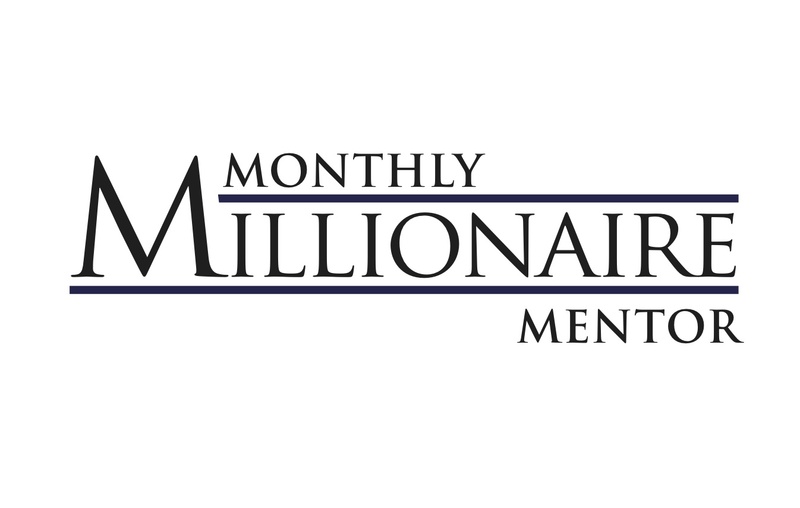 Monthly Millionaire Mentor Program coming to Calgary for One day special event! Do you want to learn what it takes to become a millionaire? Do you want to learn techniques to accelerate your wealth growth in todays economy? Do you want to discover tools that anyone can apply to create a fortune? If you answered yes to any of these questions you need to be in Calgary on June 15th, 2011. For one day only in Calgary, Douglas Vermeeren will be presenting more about The Monthly Millionaire Mentor program. At this event he will be sharing the 7 Reasons why you are not rich and what you can do about it. A limited number of free tickets will be given away through the Monthly Millionaire Mentor program. If you are interested in qualifying for a free ticket for a free ticket please contact Rachel@douglasvermeeren.com and she will send you details of what you can do to get one of these tickets.